Location: Grenoble - France 1958 Imperial with kph speedo. Location: Kättilstorp Sweden A question here. Last winter I changed all dash lightbulbs (2w) and thought that this wold be nice bu I was very dissapointed, I had very "weak" light so now I wonder how strong bulbs can I use. Is it okay to use 4w or do the going to ruin and melt "
Location: Kättilstorp Sweden Okay. May be better with led. light but I think you will miss the "dimmer" function. Not sure but I think so. Location: Plymouth Spaceport Does anyone have a picture of the 1961 Plymouth dash lit up at night? I was wondering if they glow green. That will "work" the rheostat hard and possibly burn it out. 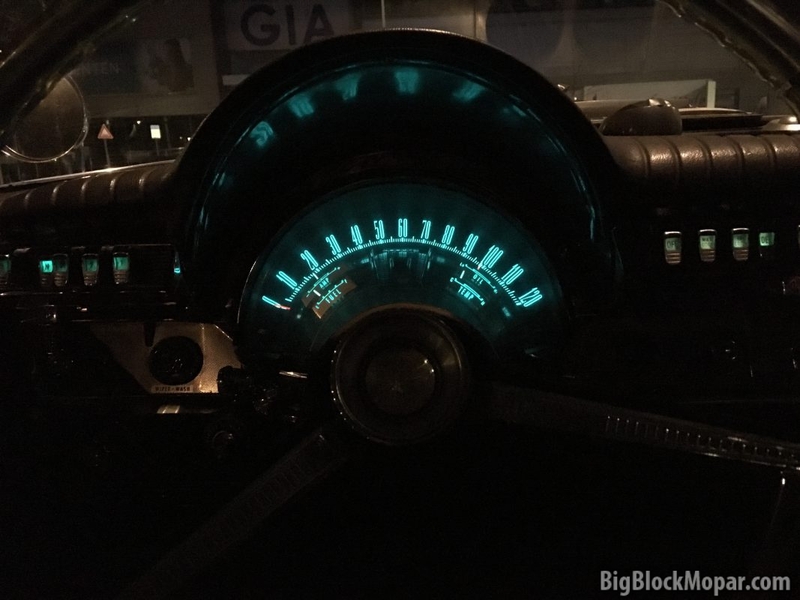 Location: Pieksamaki, Finland, Europe Does anyone have a picture of 1957 Chrysler dash at night? 1) What color the lighting should be? White, green? 2) Are the letters in speedo and other gauges just white or do they have fluorescent/phosphorous effet on them, I mean do they glow green at night? 3) What paint/technique you have used when re-painting the numbers and letters to the plexiglas? Imperial has a different style setup than Chrysler which has letters and numbers on the plexiglas covers. Here's what Chrysler gauge/clock bottoms look like. Background color has been green? Blue? Blueish green? Location: Kalispell, MT USA 1964 Dodge 880 at night.